An enthralling and beautiful new novel about love and allegiance during the Vietnam War, from the author of Daniel Isn’t Talking and Dying Young. It’s 1967 and Susan Gifford is one of the first female correspondents in Saigon, dedicated to her job and passionately in love with an American TV reporter. Son is a Vietnamese photographer anxious to get his work into the American press. Together they cover every aspect of the war from combat missions to the workings of field hospitals. Then one November morning, narrowly escaping death during an ambush, they find themselves the prisoners of three rogue Vietcong soldiers who have been separated from their unit. Helpless in the hands of the enemy, they face the jungle, living always with the threat of being killed. But Son turns out to have a secret history that one day will separate Susan from her American lover. As they are held under terrifyingly harsh conditions it becomes clear just how profound their relationship is, and how important it has become to both of them. 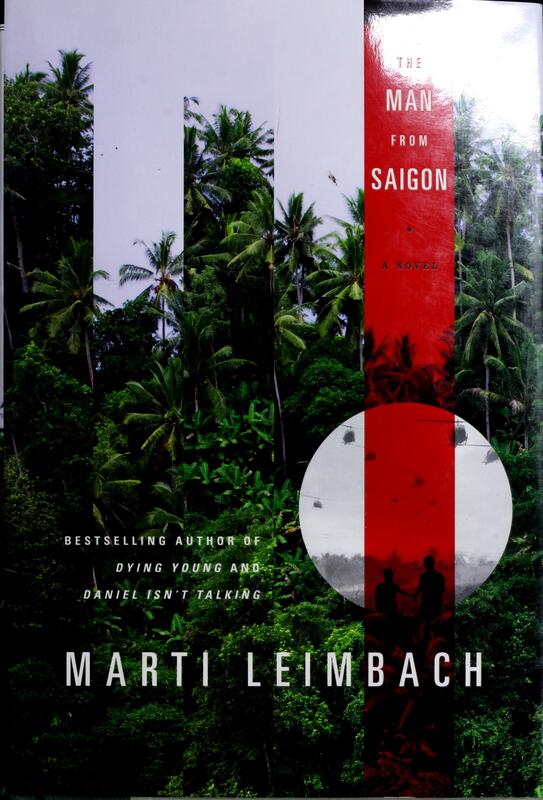 Marti Leimbach is the author of several novels, including the international bestseller Dying Young, which was made into a major motion picture starring Julia Roberts. Born in Washington, D.C., Leimbach attended the Creative Writing program at University of California, Irvine, and Harvard University. She currently lives in England and teaches at Oxford University’s Creative Writing program. Susan’s editor insists that the Vietnam assignment is a plum job—a chance “to distinguish yourself … to be somebody.” Is this why Susan says yes, or are other factors at play? If you had been in her position in 1967, would you have accepted the assignment? What qualities do Marc and Son share? How do they approach the idea of allegiance and justice differently? Which man loves Susan more completely? Why do you think Susan teams up with Son? What might she gain from their alliance? What advantage might Son see in working with Susan? Did you trust Son? How did your impressions of him shift throughout the novel? What was at the heart of Marc and Susan’s devotion to one another? Which of them proved to be stronger—emotionally and physically—while coping with the deprivations of being in country? What fears do Susan and her captors (Anh, Minh, and Hien) have in common? What enables her to gradually gain their trust, protecting herself along the way? How does she challenge everything they have previously believed about women? Is their view of women very different from that of the U.S. soldiers she encounters? Minh assures Susan that one day she will become a wife. Is he right to pity her for being single, or is it a sign of strength that she is unmarried when she travels to Vietnam, while Son and Marc have spouses? Discuss Christine’s arrival. What does her presence reveal about Marc’s mindset before he left for Vietnam? Why was she willing to take such a risk to bring him home safely? Could she be considered loyal? How are identities formed in The Man from Saigon? What does it mean to Susan to carry a British passport? How does Marc reconcile his role as an American with the fact that his government is misleading the public? How does Son define the true Vietnamese identity? Why does he resist feeling sympathy for the Montagnards? Discuss the different types of love that flourish in the novel. Which type of love proves to be the most resilient, and the most self-sacrificing? Though Susan is in a role traditionally thought of as being for men, she faces challenges that all members of the media endured when they tried to reveal the truth about Vietnam. Despite the military’s frequent insistence that female journalists had no business being in their path, were women in fact better equipped to meet the challenges of the job? How did you interpret Son’s final note: was it purely a generous gift for Susan, saving her from the looming Tet offensive? How realistic was Son’s fantasy of one day marrying Susan? Had the war had a different outcome, was it conceivable they would one day marry? Discuss the structure of the novel. As two points of view are presented in alternating passages after Susan’s disappearance, what do we begin to understand about Susan and Marc’s relationship? Did they perceive each other, and their relationship, in the same way? How is Susan transformed by Vietnam? Are she and Marc damaged by their experiences there, or did you read their closing scenes as portraits of clarity? How do previous novels by Marti Leimbach portray the concept of youth and life’s meaning in its early stages? How might her other novels have prepared her to write this one?